Jaguar Colorado Springs in Colorado Springs, Colorado, currently has this luxurious and fun-to-drive Approved Certified Preowned 2017 Jaguar XE 35t Premium in our inventory! 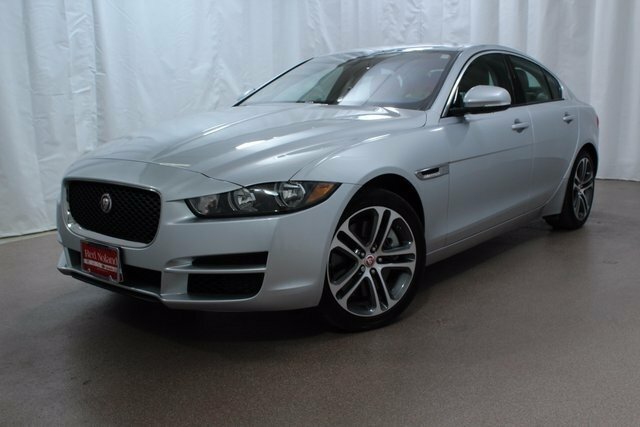 Because this vehicle is Jaguar Approved Certified PreOwned, you get the peace of mind of a 6yr/100,000 mile limited warranty plus a 165-point inspection. Plus, 24/7 roadside assistance, trip-interruption services, rental car benefits, and a vehicle history report. The best part? This is a retired service loaner with less than 5,000 miles on it! You won’t be missing out on features with this sedan either. Some of these features include HomeLink, power moonroof and a Meridian 380W Sound System w/11 Speakers. Remote keyless entry, steering wheel mounted controls, and electronic stability controls are also featured. This XE is also equipped with a 3.0L V6 24V Supercharged engine which gets an estimated 20 MPG city/29 MPG highway to make fuel stops few and far between! So, stop into Jaguar Colorado Springs today to check it out and even take a test drive! Test out the many innovative features of this luxury sedan! Jaguar Colorado Springs is located just off I-25 in Motor City, convenient to Monument and Pueblo.